It’s only one of the many gems you will find as you go through each page of Finding Your Business Mojo. It’s filled with concise information as well as stories and insights that will help any small business owner understand how they could take their life back. 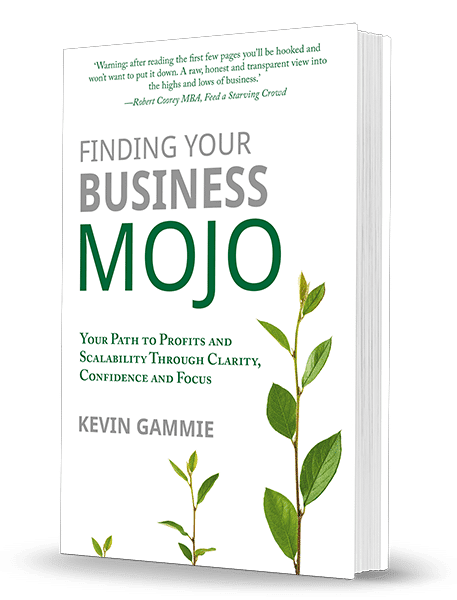 If you’re feeling stuck and frustrated or you think you’ve lost your mojo, Finding Your Business Mojo will provide you with the proper structure that will make your business grow AND have the right lifestyle. Finding Your Business Mojo now! Copyright 2016 - Kevin Gammie. Website by Aktura Technology. Enter your Name and Email Address below to download the first chapter!